When it comes to Italian getaways, there are quite a handful of storied locales that can easily spur wanderlust. 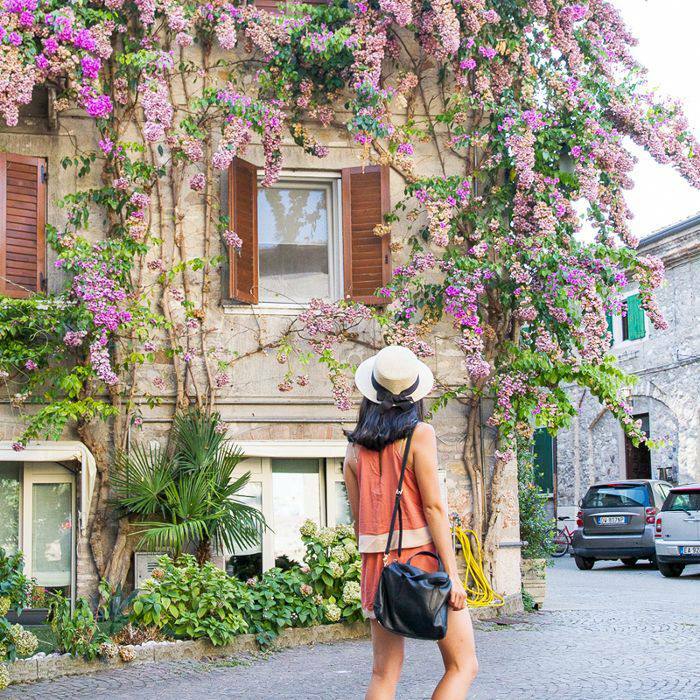 The art of Florence and the rolling hills of Tuscany have long beckoned visitors, and the cliffside villages of the Cinque Terre seem to always pop up on our Instagram feeds. Of course, all of these destinations are worthy of a trip, but sometimes the beauty of travel is uncovered where few tourists can be found at all. And that's why our vote for an off-the-beaten-path destination goes to Ancona, Italy. If you're thinking I've never even heard of Ancona, that's totally fine—and half the fun. This port town on the Adriatic Sea is often overlooked as a quick stop on the way to those aforementioned places, which means that its own beaches, Renaissance architecture, and glowing piazzas can be seen at a slower pace. Here's a list of 15 things to do while you're in Ancona, so that you can escape predictability for something most people want when they travel: adventure. Santa Maria della Piazza: This Romanesque church is a showstopper for its architectural details, and you'll probably get views of it multiple times while you're here. It was built sometime between the 11th and 12th centuries, and even has a window to the ruins of the churches there before it (which were built somewhere around the sixth and seventh centuries). Arch of Trajan: This Roman monument is one of the most beautiful structures in the region. Climb the steps up to its marble Corinthian columns and glimpse the ancient inscriptions that are still legible on the walls. Chiesa di San Domenico: Although this church is closed indefinitely, its location on the Piazza del Plebiscito—a medieval meeting place locals refer to as the Piazza del Papa—makes for prime people-watching. Take a load off on its steps with some gelato by day, and at night, return to find a spot to enjoy a drink. Parco del Cardeto: On a warm and clear day, this sprawling park overlooking the city is an ideal place to spend an afternoon. Bring a picnic up from town to eat in view of Ancona's red rooftops and the Adriatic Sea in the distance. There's even a lighthouse nearby if you can find it. Ancona Cathedral: Make the steep climb up to this ancient cathedral, which has a stunning mix of Gothic, Byzantine, and Romanesque architectural details. Fontana del Calamo: The 13 bronze faces aligned on this Renaissance creation appear to blow water from their mouths, making for a sight that's as beautiful as it is playful. Mole Vanvitelliana: While this diamond-shaped building was once used by the military—and was even used as a place to quarantine the sick in the 18th century—these days it's a cultural center and museum. Mercato Delle Erbe: If you want to have that classic Italian memory of shopping for fresh produce in a lively market, this is where to do it. This building has been in business since 1926, and its detailed archways are almost as beautiful as the colorful choices below. Corso Garibaldi: This is one of the main streets where the locals go to eat. Pizza, anyone? La DegOsteria: This restaurant is the best of both worlds. Its modern interior design serves as a foil to the ancient architecture of the Santa Maria Della Piazza right outside, which means that you should try to get a seat by the window. Most people come here for the spaghetti carbonara, but the inventive seafood dishes are worth a taste too. Ristorante Gino: If Ancona is known for one dish, it's stoccafisso all'anconitana. It's made with dried cod, garlic, and potatoes, among other ingredients, and this no-frills restaurant serves it up like it's meant to be eaten. Grand Hotel Palace: Treat yourself to this modern hotel inside a 16th-century building. Its central location makes sightseeing easy too. SeePort Hotel: A great boutique option for when you want to be right on the water watching the many ships in the port go by. Hotel NH Ancona: This traditional hotel also overlooks the harbor, and it's within walking distance to Mole Vanvitelliana. Grand Hotel Passetto: This upscale hotel has just 40 rooms and a picture-perfect pool that you'll want to swim in every day.